Quick and effective Integrated Digital Marketing Services to Enhance Your Business: Connect with Professionals Today! With constant changes in different search engines, the strategies of maintaining an online presence must also be updated. Gone are the days of old traditional methods of marketing. Nowadays a user needs an encompassing holistic strategy on the web to go for any services or products. Different combinations of strategies are used for integrated marketing through a digital medium. Starting from web development to SEO and SEM, digital marketing includes everything. A single strategy can never help you to gain required organic traffic. If you are searching for any reliable service provider for integrated digital marketing services at an affordable rate, then you can connect with our professionals at Tech Support Dubai. Our team has been developing several digital marketing strategies for many years and will properly guide you to enhance your business online. Using an integrated digital marketing campaign is not as difficult as small business owners think. But you need to understand the benefits that you can get through an integrated digital marketing campaign. It can do wonders for your small business and can help you gain rank in search engines. Here is a list of benefits that you can receive with an integrated digital marketing strategy. Multiple Touchpoints: A multi-channel digital marketing strategy is always required to generate profitable results. Since maximum people search for online products and go for at least three to four touch points before buying the product. Integrated digital marketing strategies help in targeting potential customers by creating multiple touch point strategies for your website. Fresh Contents: Consumers always want fresh solutions to their requirements. Nowadays the majority of people search for information on social media or on other digital marketing channels. 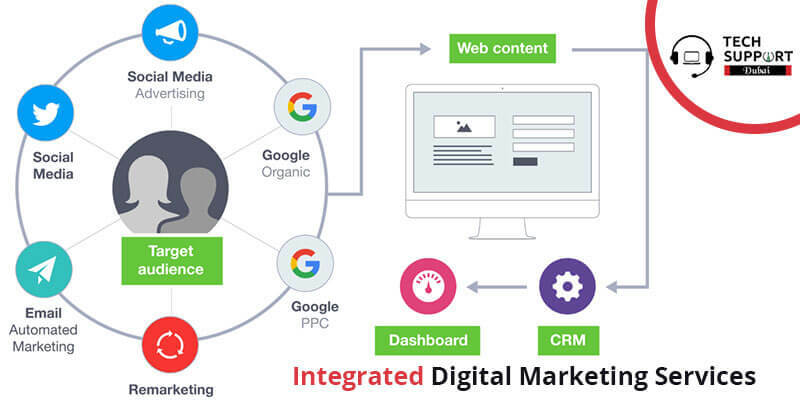 An integrated digital marketing strategy helps you to provide fresh contents which will help you to connect with more potential customers. Mobile marketing: Nowadays online traffic comes more from mobiles, rather than computers. So you have to make sure that your website is mobile friendly. Every business owners try to focus on free channels, but they should know that they can generate useful traffic from other sources. Generates Higher Conversation Rates: When more customers notice your business promotions, the more your business conversation rates increase. Studies have confirmed that with a proper strategy of PPC and SEO; you can have a 25% increase in your business. The continuous evolution of digital marketing channels: With different algorithm updates, digital marketing channels are evolving continuously. It affects the local search engine trends along with social media. An integrated digital marketing strategy helps you to create multi-channel campaigns to prepare your site for the inevitable. Digital marketing agencies mainly provide just digital marketing strategies. You are wrong if you think that it is a unique service and catered only by some agencies. It is all about enhancing your business strategies when it comes to successful business in 2018. So whenever you choose any agency always focus on the services and resources. For better clarification, you can connect with our experts at Tech Support Dubai. Our team of experts conducts research on each new strategy for digital marketing and hence can guide you with the latest information. We have solutions that are readily available to enhance your business. Our service charges are also affordable that will surely suit your budget. Integrated Digital Marketing Services in Dubai: If you are searching for reliable Integrated Digital Marketing Services Dubai, then you can connect to our team at Tech Support Dubai. Directly place a call on our helpline number as our experts are available 24*7 to assist you with all types of digital marketing strategies. We also have a live chat portal where you can consult plans with our experts. Furthermore, you can also mail us on our official email ID to avail the best services for Integrated Digital Marketing Strategies.